Many people have asked if Top Gear really did launch a Robin Reliant into space and many believe that the Top Gear shuttle launch was faked, so we did a bit of digging to find out if what you see in the Top Gear Reliant Robin video below was for real. Was the Top Gear Three Wheel Reliant Robin Car Rocket Launch Faked? Well, the truth is that Top Gear is (or should that be was) an entertainment programme so there were definitely some special effects added for dramatic effect. 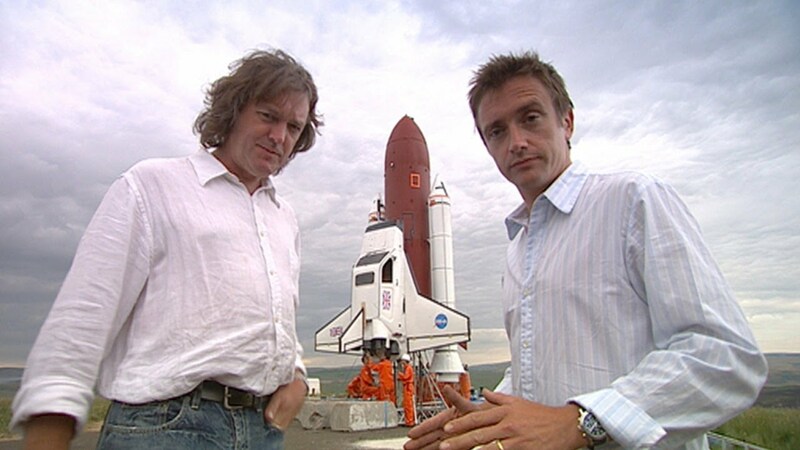 Certainly the explosion when the Top Gear shuttle crashed into the ground was most likely faked, because most of the rocket fuel would have been used up during the flight. It’s also been suggested that James May and Richard Hammond knew that the separation of the Reliant Robin shuttle from the rocket would fail, because they had already been told that there was a problem with the ejection charges, so there is a bit of acting going there. The launch itself, though, was real! They really did strap the shell of a three wheel car to a huge rocket and it really did fly. In case you are not familiar with the Reliant Robin, it’s a compact car, similar in size to Fords Pinto or AMC Gremlin, but missing one wheel and it has a fibreglass body. Although the car is the object of many jokes in the UK, its cheap price and low running costs made it quite popular in the 1970s. 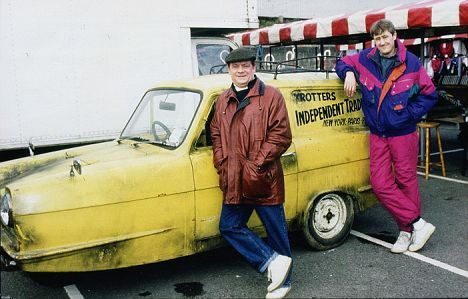 Nicknamed the Flying Pig and often erroneously referred to as the Robin Reliant, the car achieved fame when it appeared in the British TV Situation comedy Only Fools and Horses as the company car of Derek (Del Boy) Trotter. To prepare the Reliant Robin for the Top Gear shuttle episode, the car was stripped right down to just the fibreglass shell. The stripped down Robin then had wings added and it was bolted to the 88ft rocket assembly. 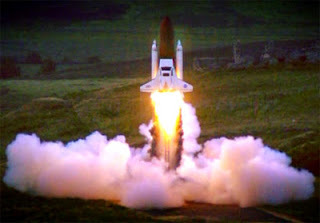 The intention was that the Robin shuttle would detach from the main rocket assembly and glide back to earth, but problems with the assembly of the ejection bolts meant that the Top Gear presenters and crew knew in advance that the separation wouldn’t work, but decided to go ahead with the launch anyway. The rocket itself was a 1/5th scale model of the space shuttle, complete with the equivalent of the expendable tank and two solid rocket boosters. The rocket was built over a period of four months by UK based aerospace components company Rocket Men with assistance from engineering company Mottram Engineering. 2 x O class hybrid motors. So, there you have it, Top Gear really did launch three wheeled Reliant Robin on the back of a rocket and it was pretty spectacular, if not entirely successful. As for those who complain about the added pyrotechnics at the end, we say; hey, that’s entertainment!